Like photography, music helps define us. It says something about who we are and what we believe, perhaps in ways more illuminating and honest than we might imagine. Music is a constant part of our lives and a reflection of our times, our thoughts and our dreams. It is simultaneously nostalgic and present. Join us at Art After Hours to hear original music being made in Sydney right now. Hear influences from our country roots and our soul, jazz and multicultural heritage, and reflect on the journey that’s been and the one that lies ahead. Award-winning vocalist and songwriter Tina Harrod will perform with her all-star band featuring James Haselwood on bass, Evan Mannell drums and Matt McMahon on keyboard. They will play some great soulful interpretations of old classics including Bob Dylan, The Beatles and Ray Charles as well as Tina’s highly acclaimed material from four solo albums. Hailing from Austinmer, Shining Bird is a collective of friends who got together over their love of the sea, Australian cinema, Dennis Wilson’s Pacific Ocean blue LP and the great Australian poet Henry Lawson. They released the single ‘Distant dreaming’ in early 2013, receiving rotation on stations like Triple J and FBi, and their debut album Leisure coast earned them Album Of The Week on ABC’s Radio National. With hypnotic melodies and soothing harmonies, Shining Bird guarantee an unforgettable sonic experience. Recently listed by The Age as one of the 21 most iconic women of the Australian stage, page and screen, six-time Helpmann nominee Ursula Yovich has become one of Australia’s most loved and celebrated performers. From Maningrida in far north Arnhem Land to Carnegie Hall in New York, Ursula has toured the world with The Black Arm Band and her solo music project, Magpie Blues. This beautiful and captivating performer will lead us through a journey of songs, both original and those that have inspired her. Following three solid years of travel, touring and no fixed address, Jack Carty has finished a new album, Esk , a record grounded in ideas of process and time, while sounding like an artist who knows exactly what he wants. It’s an album of imagery, mood, groove, grit and the kind of lyrical turn of phrase that has won Carty a dedicated and vocal fan base across Australia and the world. This is an album as dynamic as it is cohesive, as venturesome as it is reflective and as playful as it is poetic. Join us tonight for an intimate live performance of Jack Carty’s new material. ‘The greatest gift to Australian jazz vocals in the last decade’ is how James Morrison, Australia’s most awarded jazzman, describes Emma Pask. 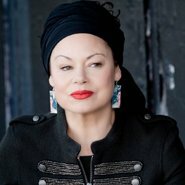 While Emma’s voice and style are unique, and individually her own, her performances are reminiscent of the classic era of jazz, when swing was top of the charts. Performing internationally and around Australia, Emma has ﬁrmly established herself as one of this country’s favorite jazz voices. Come and hear this songbird soar and enjoy her enchanting tones as she sings original material and some classic jazz standards. Brian Campeau recently released Don’t overthink it, overthink, overthinking . This compelling album neatly resolves any tension between Campeau’s skills as a virtuoso guitarist and vocalist, his prowess with the sampler as a producer, and his mastery of songcraft. The synthesis of his complex rhythms, his penchant for found sounds and his spider-like fingers on the fret board are in complete servitude to 12 very relatable songs. The album sounds like a meeting between Bjork and Nick Drake, or like Cass McCombs getting depressed and calling Air for consolation. Tonight we hear these songs live in the Gallery. Steve Smyth’s debut album Exits was released last year to widespread critical acclaim. His songs, from the rollicking kind to the tender, have been received with open arms at shows across Australia. It isn’t a rock show because it bleeds too much tenderness, it isn’t a folk act for it breeds a raucous charge, and it’s too electric to be electronic or calculated. Join us tonight for a solo performance by Steve at 6pm followed by a full band set at 7.30pm. Ben Hauptmann is a nationally recognised jazz guitarist, who has shared the stage with a diverse range of artists such as Joss Stone, Katie Noonan, Lior and James Morrison. He has performed extensively internationally and at major Australian music festivals including Homebake, Woodford Folk Festival and Splendour in the Grass. Ben is joined by Jonathan Zwartz and James Hauptman as our Art After Hours houseband for three weeks.